About Twister's Shag Club - Go Shagging With Us! Twister's Shag Club (TSC)is a social club made up of about half singles and half married couples, age 21 and over. Many of TSC's charter members had been involved in other clubs. They had seen various problems that other clubs encountered, and they used those experiences to help Twister's Shag Club avoid similar pitfalls. The club has always strived to be all it could be, and to offer its members the best; the best parties, the best events, the best beach nights, the best club newsletter, etc. In return for many membership benefits, the club has expectations that its members be involved, support our activities and efforts, and do things to promote the club's prosperity. TSC has never encouraged people to join just to add numbers to their roster. Although funds in the club treasury are spent exclusively to perpetuate the club, and for the benefit of the members, we have supported several charitable efforts over the years through members' efforts and by raising money specifically for those purposes. As examples, TSC has supported the Muscular Dystrophy Association in our area. 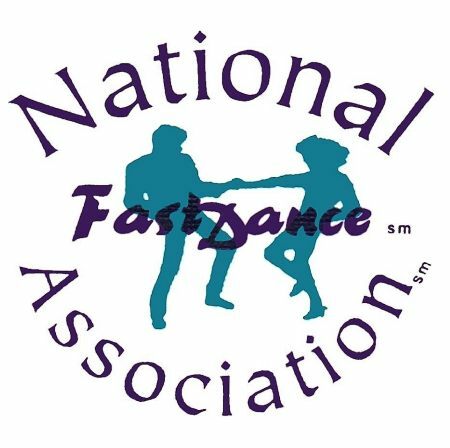 We have danced at their events (including dancing with some of the children afflicted with this disease), helped raise money, and participated in MDA auctions and fundraisers. We have also provided Christmas presents for the underprivileged children at the Davidson/Cornelius Day Care. Many of these kids would not get anything if it were not for us. Each year we raise money through various means (including member donations) to buy presents for these kids. It is very rewarding to make sure "Santa" visits those children. The club has also supported several Junior Shag Dance Teams, the Junior Shag Association, The Hall Of Fame Foundation, The Ellen Taylor Foundation and other worthy endeavors. We have been selected by our 100+ peer organizations in the Association of Carolina Shag Clubs (ACSC) to host their yearly Workshop Meeting and Party each of the four times we were eligible. We have won several first and second place awards in the yearly shagger parade at North Myrtle Beach. We have had some great, very original entries over the years. Some are remembered by those who were there to this day. We publishe one of the best shag club newsletters. It is well known as the "little red book" by our readers. It is filled with information about club activities, other parties, articles about past events and more. We have mailed copies of our publication to all the other ACSC Member Clubs, the officers of SOS and the ACSC, our advertisers, and our members since the first issue was published. There have been many well-known shaggers in our club over the years. One of them was Roland Hale who we lost to cancer. Roland was 98 years young. Roland danced longer and later into the night than most of us. He also went to the beach for the full ten days of each of the SOS events. Roland even taught shag lessons in our area. We were very proud of him. At one time, we had three generations of Roland's family in our club. We also have Mike Rink in our club. Mike was one of the founding members of TSC, and was the club's first President. He served on the SOS Board of Directors for ten years, and is a former Chairman of the Association of Carolina Shag Clubs. Mike is also a Lifetime Member of the Association of Beach and Shag Club DJ's and is in the DJ Hall Of Fame. He was presented the Richard Nixon Service Award which is given to the Dj who has "performed outstanding service other than deejay service for any group or entity encompassing the shag dance community or the shag and beach music community at large". Mike helped found, and has been a big supporter of the Junior Shag Association, a group for those under age 21. Mike was also presented with the "Shagging Icon" award by the Association of Carolina Shag Clubs and the Society of Stranders. This is the highest honor that is given by these organizations. Doug Honeycutt is another founding member of our club. Doug was President twice, and has served in many other capacities. Doug was also honored with the Shagging Icon Award by the ACSC and SOS. Peggy Cavin is also a founding member who has been President of the club, and an officer many times. She has also been honored with the Shagging Icon Award by the ACSC and SOS. We have also had some very successful competitive dancers and other notable individuals in our club over the years. There are MANY advantages of club membership. Besides the fellowship and fun that come so easily, there are free and nearly free parties, a great newsletter, free food and drinks at various times, free monthly drawings for cash, passes to the Mid-Winter party at the beach, discounts on SOS membership, etc. etc. There is a lot more to tell about our club, and our history. But, we can share that with you another time. We hope you will want to know about us, and to join our "Fun Bunch". Click HERE to get a copy of our club application so you can join TSC! It may take a few seconds to load, so please be patient. If you need the Adobe Acrobat reader to open this file, please click HERE to download it for free. Twister's Shag Club is a proud member of the Association Of Carolina Shag Clubs, and is also happy to support the Society Of Stranders (SOS) each year.